We are a small owner operated local business based in Rochdale. We specialise in gas fitting, plumbing, central heating and all associated works. We provide a full service to the home owner or landlord. 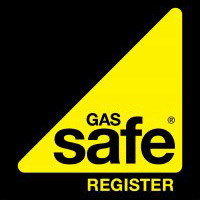 From 1 April 2009, Gas Safe Register™ became the official stamp for gas safety in Great Britain. It has taken over from the Corgi Registration and all companies legally need to register to operate in Great Britain. 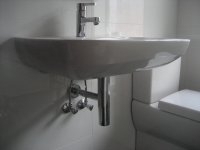 At Simon McCormack Plumbing and Heating we take personal pride in all the projects we undertake, whether we are fixing a leaking pipe, installing a full central heating system, or designing and fitting a new bathroom installation. Each task undertaken is carried out to the highest specifications with exceptional attention to detail being applied so that the end result exceeds expectations. That is why the vast majority of our work is through word of mouth and personal recommendations. We hold full City and Guilds level 3 certification as a mark of quality and professionalism and we are happy to guarantee all of our work for 12 months. We can also provide personal endorsements from satisfied clients and all images on this site are taken from our extensive portfolio of completed projects. Operating around the North Manchester area in the towns of Bury, Rochdale, and Oldham we are happy to provide free impartial advice and estimates. If you would like more information, please get in touch. We will happily answer any queries you may have.